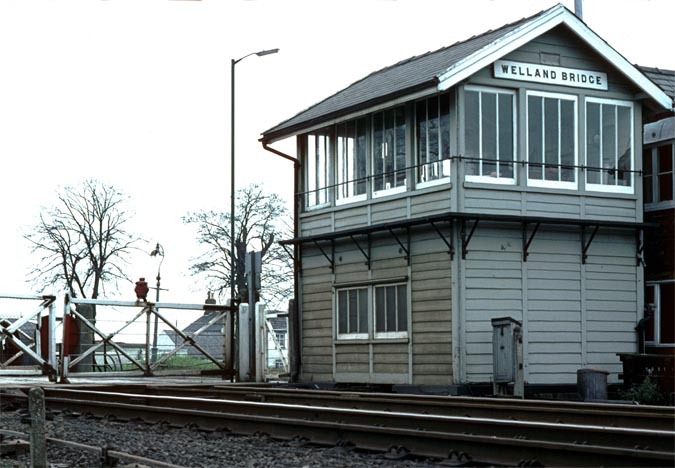 Welland Bridge signal box was in the town of Spalding next to the Welland river. There was a bridge across the river with a set of level crossing gates on each side of the river Welland. Be for the Spalding bypass road was built around the town, most of this road traffic used both sides of the river. Just up the road was another set two sets of gates each side of the river Welland when the M&GNJR was open. These two photo's were taken while Great Eastern and Great Northern Joint Line (GN&GEJR) to Spalding line from March was still open. 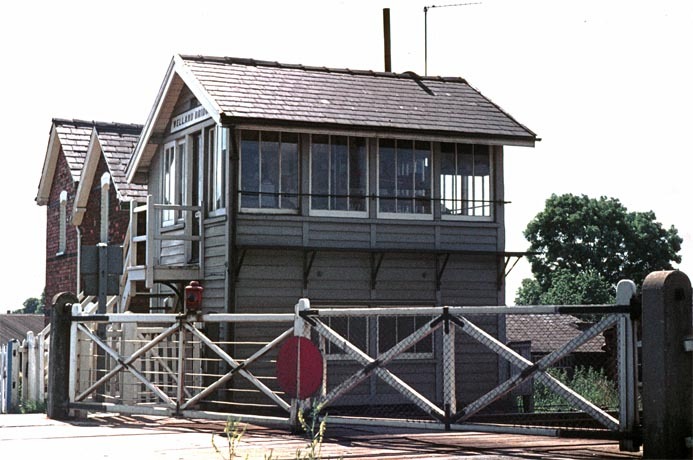 Welland Bridge signal box after the line closed with the level closing gates removed. 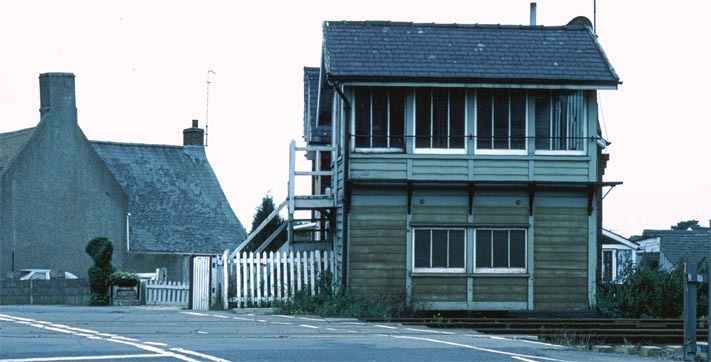 This box is now at the Nene Valley Railway's Peterborough station with a brick base.